Over the next decade, there is a predicted shortage of nonmalignant hematologist to maintain the workforce in the United States. To address this, the American Society of Hematology described the creation of the healthcare systems-based hematologist (SBH). The role of SBH has the potential to provide high-value, cost-conscious care to the healthcare system. In 2011, an Anticoagulation and Bleeding Management Medical Directorship position for a SBH was created at our healthcare system. We described our 6-year experience as SBH at a 750-bed tertiary academic medical center to improve clinical outcomes while reducing costs. 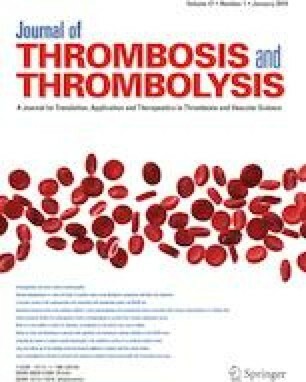 Via four different initiatives, we were able to provide high-value, cost-conscious care as SBH by reducing cost of heparin-induced thrombocytopenia management, optimizing blood product utilization using goal-directed algorithms, reducing inappropriate thrombophilia testing and improving inferior vena cava filter retrieval rates. To ensure continuing success as a SBH, business plans need to include education, enforcement, monitoring, feedback, validation of safety and outcomes and a shared vision among leadership. All authors participated in the writing of the manuscript, and have seen and approved the submitted version. All authors were involved in the conception and design of the study, and the analysis of the data.